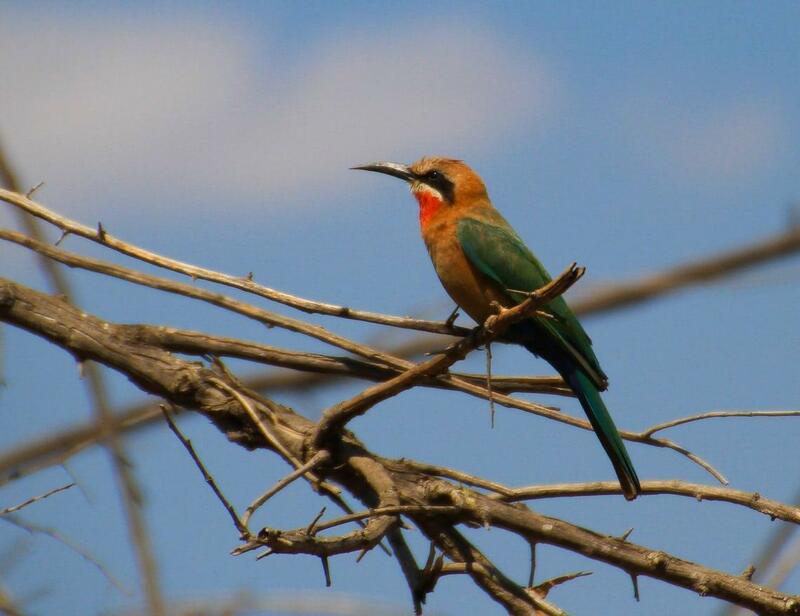 Many overlanders overlook Zambia’s Lower Zambezi National Park. Having driven the long way round, Romi Boom says it’s as beautiful as Mana Pools on the other side of the river – and a lot more laid-back. Yellow lights flicker on the far side of the Zambezi. Campers at Mana Pools in Zimbabwe gather around their evening braais. Ditto our side of the river. All that separates us, is a gleaming watery expanse. Just as sleek and shiny as I remember it from five years ago, when we were on the other side, wondering about the Zambian shore. We’ve pitched our tent in the Zambezia Sanctuary, at Mvuu Lodge, for lack of campsites inside the national park. Long overdue camping facilities were scheduled to open in September 2016. Meanwhile Mvuu, about 30km from the gate, is the nearest option for overlanders on a budget. And what a grand alternative this proves to be! 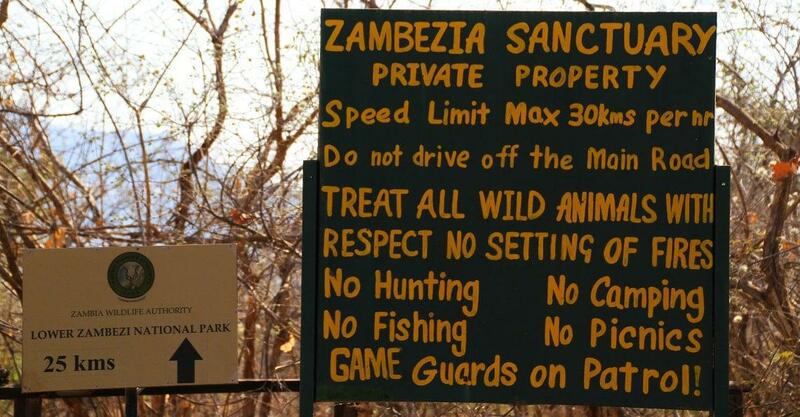 From Kariba – the fishing village of Sinazongwe – it is a long day’s drive to Lower Zambezi, via Lusaka. The last stony stretch is rough going and the gravel surface requires high clearance, preferably in a 4×4. Thanks to the Gwabi bridge which opened in August 2014, it is no longer necessary to cross the Kafue River by pontoon. What a relief! It was late afternoon when we arrived at Mvuu Lodge (“place of the hippo”), which has a number of safari tents on the river as well as spacious stands with everything a camper could dream of. The creature comforts are bliss. Our delivery of firewood arrived first. Then all-weather cushions for the patio furniture on our private riverside terrace. Followed by a pretty tablecloth and 20 litres of filtered water. Finally bath mats and amenities for our private ablutions. In no time, our bonfire was ablaze, sundowners as smooth as the gentle Zambezi in front of us. 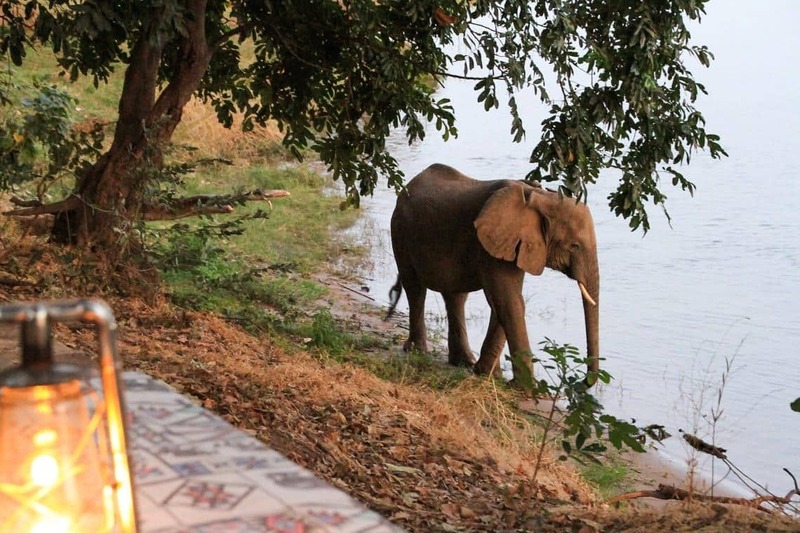 Not long after four elephants sauntered past to the river’s edge. The giants were cropping tender stalks of pasture three arms’ length from us – a bit too close for comfort. 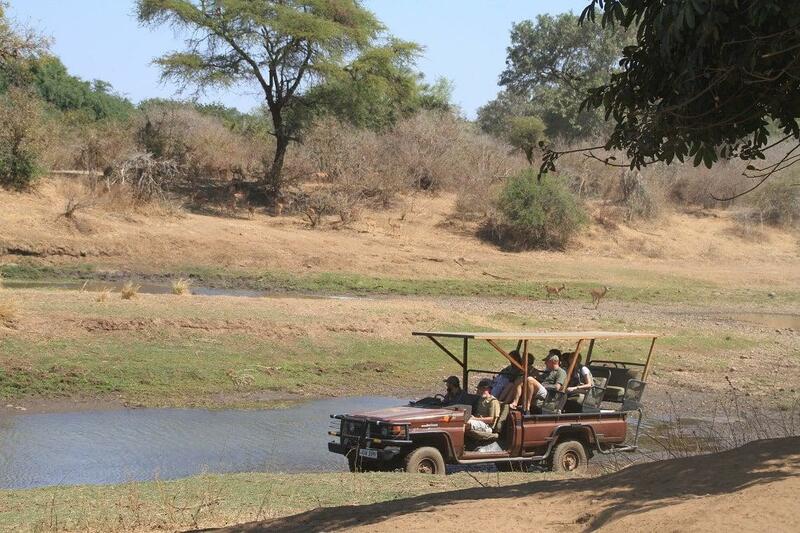 Wildlife roam freely through the camp and soon we heard the breaking of branches. Five more ellies had joined us. The Chiawa area is reputed to be game rich and it was hard to believe that we weren’t even in the park yet. Just before nightfall, the sounds of fish eagle bravura and hippo contempt were interrupted by the drone of speedboats returning with half a dozen dedicated fishermen from South Africa and Namibia. After 12 hours on the water, and despite the modesty of their catch and release success, the fishermen were in high spirits. Trophy tiger fish of up to 9kg have been landed on this fabled stretch of the river and Mvuu is a popular base for anglers. These guys would be at it all day for a week; not for them leisurely river cruises on a pontoon boat, drifting past small islands and inlets, G&T in hand. 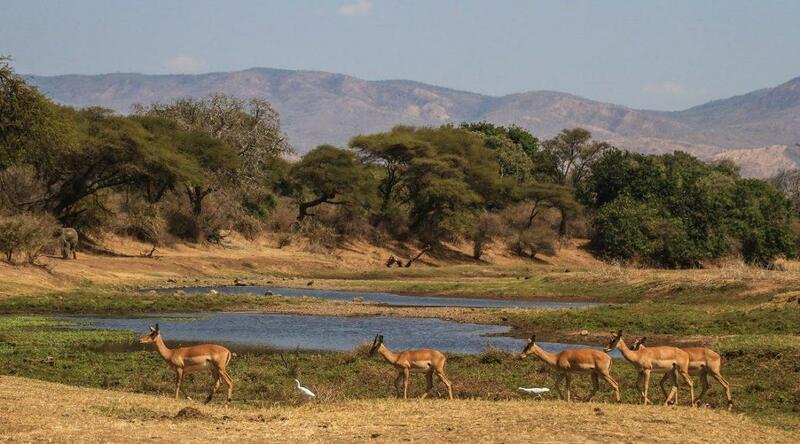 Entry to the national park is at Chongwe gate, about an hour’s drive from Mvuu. Lower Zambezi is not about great diversity of species, yet our morning ticklist had kudu, impala, waterbuck, ellies, monkeys, baboons, buffalo, zebras, steenbok, southern ground hornbill, crocs, hippos and eland. 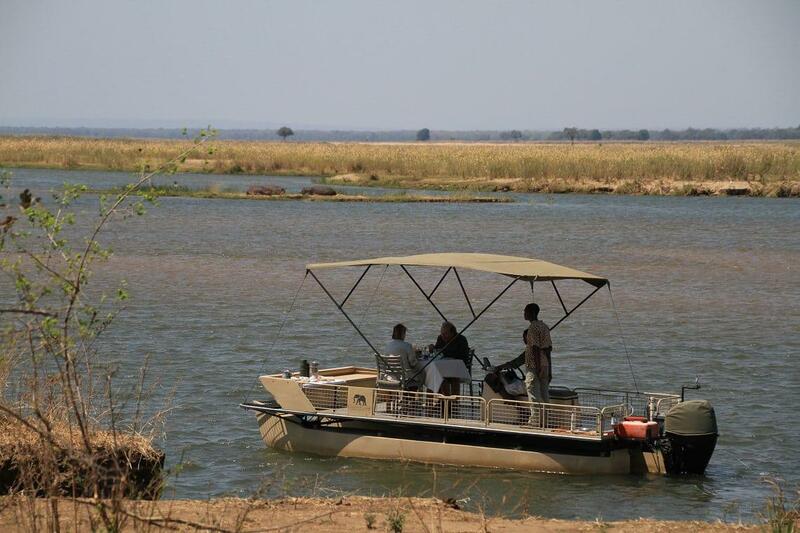 Relatively undeveloped, the park’s charm lies in its wilderness experience, with 120km of river frontage. 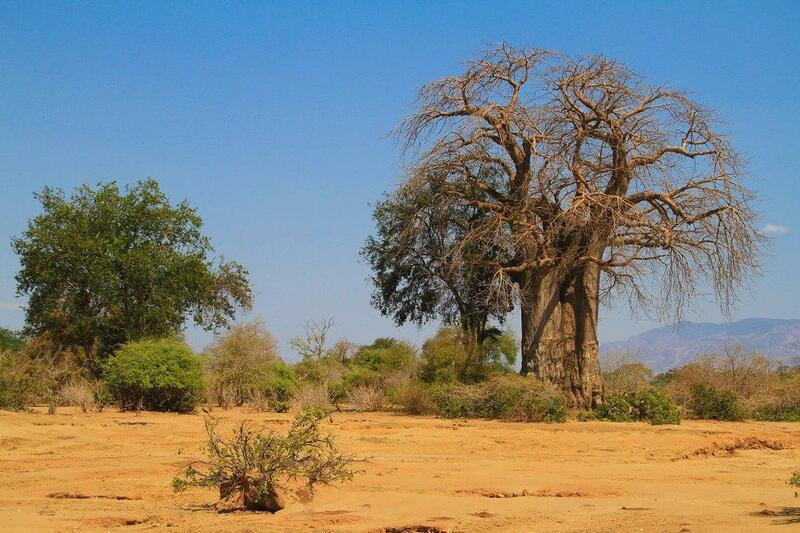 While the silty floodplain landscape is so expansive that it eventually gets monotonous, the lush riverine vegetation compensates with imposing fig and ebony trees. Tourism is still new and you won’t be seeing many vehicles, apart from the odd open gameviewer from one of the lodges inside the park. Ours was the only private vehicle. This in itself makes for a fine safari destination. 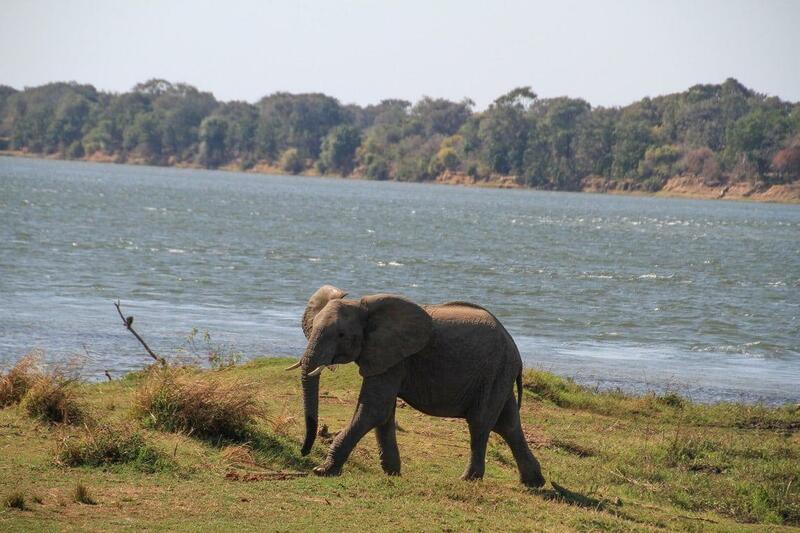 Should you visit Lower Zambezi National Park? While you might not want to spend a week, the setting is gorgeous and there’s plenty of game. Just make sure your road trip has more flesh on the bone. 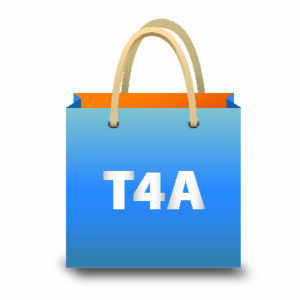 Get driving tips and border crossing info for Zambia in T4A’s Traveller’s Atlas Southern Africa. At Mvuu lodge campsite now. This place is awesome with a magnificent setting on the river. Nice private ablutions with hot water, plenty of shade and a fireplace overlooking the river. 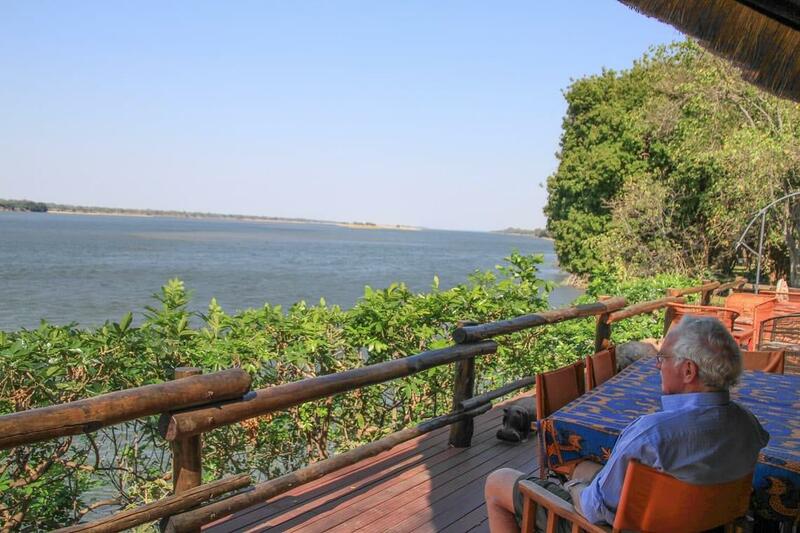 Thanks for the write-up but your Mvuu Lodge link ends up in Malawi’s Liwondwe National Park? Hello Henk. Thank you for pointing this out. Apologies, we have corrected the link. We will pay this park a visit. Thank you Romi groete aan Jannie.